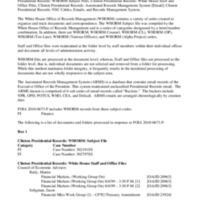 This collection consists of records concerning the President’s Working Group of Financial Markets. 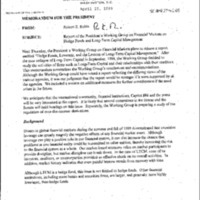 This Working Group was revived in the Clinton Administration as a means to enhance coordination among technical experts in the U.S. Department of the Treasury, the U.S. Securities and Exchange Commission, the U.S. Commodity Futures Trading Commission, and the Council of Economic Advisors. 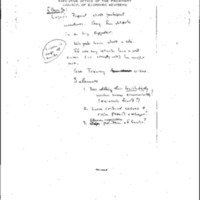 The collection contains correspondence, lists of attendees, memoranda, news articles, reports, statements to Congress and the press, and weekly reports describing the activities and recommendations of the Working Group.